This simple phrase can save your life. But what does it mean? 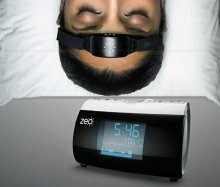 While sleep is often not on the top of many people's agenda, the importance of healthy sleeping can hardly be understated. Nor can the dangers of drowsiness in many everyday situations. 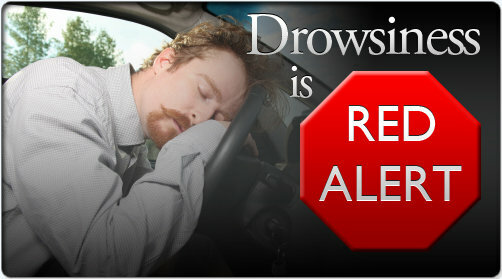 What Do Oprah Winfrey And Others Have To Say About Drowsiness Is Red Alert? When sleep is not sufficiently obtained, the lack of it accumulates as a person's sleep debt. A high sleep debt will not only decrease one's efficiency and capabilities throughout the day, but it can also be extremely dangerous while performing everyday tasks, such as driving. Too many people are dying sleep-related deaths, but there are obvious and clear measures that can be taken to prevent them. 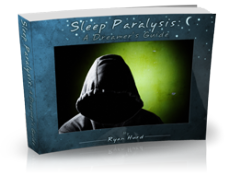 The first is to get a basic understanding of how sleep works. Sleep is such an essential part of our lives...we practice it every single night (hopefully!). So shouldn't it also be an essential thing to know about? Well the fact is that right now in our society it's not really regarded as such. You can change all that for yourself by going through our Sleep Essentials Mini-Guide (There you will find our sleep knowledge "crash course." Or should I say "prevent crash course!"). Drowsiness Is Red Alert! is a key-in phrase that really does have the potential to save your life. Once you understand the purpose of the phrase it can leap into your mind in times of unwanted and dangerous drowsiness and trigger an alert mechanism that will help you stay safe and awake. To explain another way, consider this scenario: You're driving home from school/work/vacation/whatever and it is late. You've had a long day and you are fatigued. Your friends and family may even be with you. You start to feel drowsy and your eyelids become a bit heavy, a situation which has led to the death of thousands of people in the past. Suddenly, you remember--Drowsiness Is Red Alert! and you get a quick bit of alertness, enough to lead you to realize that you need to pull over, and enough to save your friends', your family's and your own lives. Drowsiness Is Red Alert! It's a simple phrase, but it can save lives. In addition, what will help even more is learning the basics about sleep. This simple knowledge can change your life. It honestly can play an enormous role in helping to make you a happier, more creative, and more productive person, even if you already possess those three characteristics. Sleep is a vital part of your existence--it consumes about one whole third of your life! So let's learn a few things about it. We'll progress in steps, and before you know it you'll be sleepwalking! In a good way. Ready? Go check out the Sleep Essentials Mini-Guide. It's a definite high-priority read out of all the information on this site. If you'd rather learn more about transportation and sleep specifically before or after the mini-guide, you can do so here.